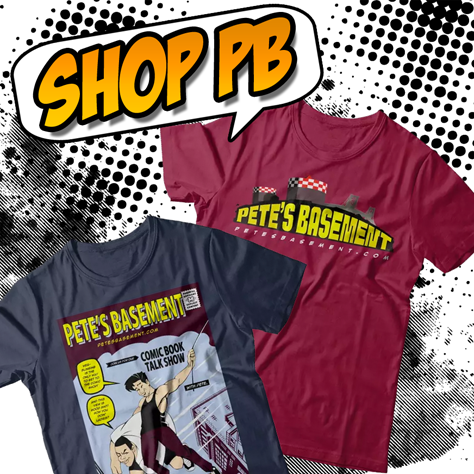 Start off at one location, and traverse the area collecting paint pallettes, coffee, tacos and cans of PBR. Depending on where you turn, you may or may not run into Yoshi smoking a joint. 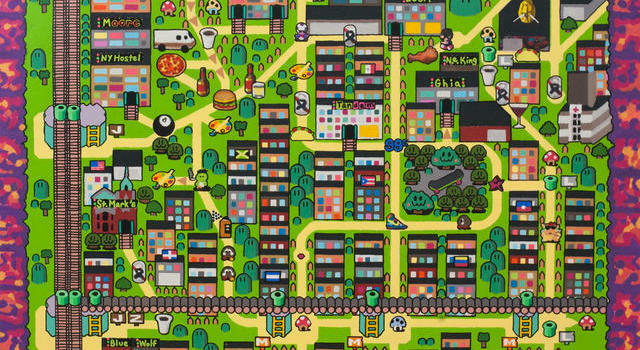 “Subway stops become green pipes, bodegas become Toad’s Houses, and Mario becomes…well…Hipster Mario!” says Ken Kocses, the maps artist. 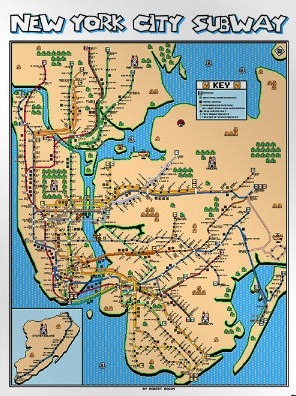 Ken wasn't the only one to give New York a Mushroom Kingdom style. 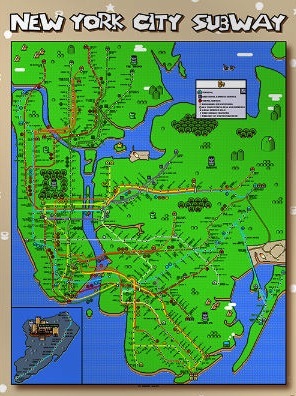 Robert Bacon Mario-ized the NYC Subway System map. 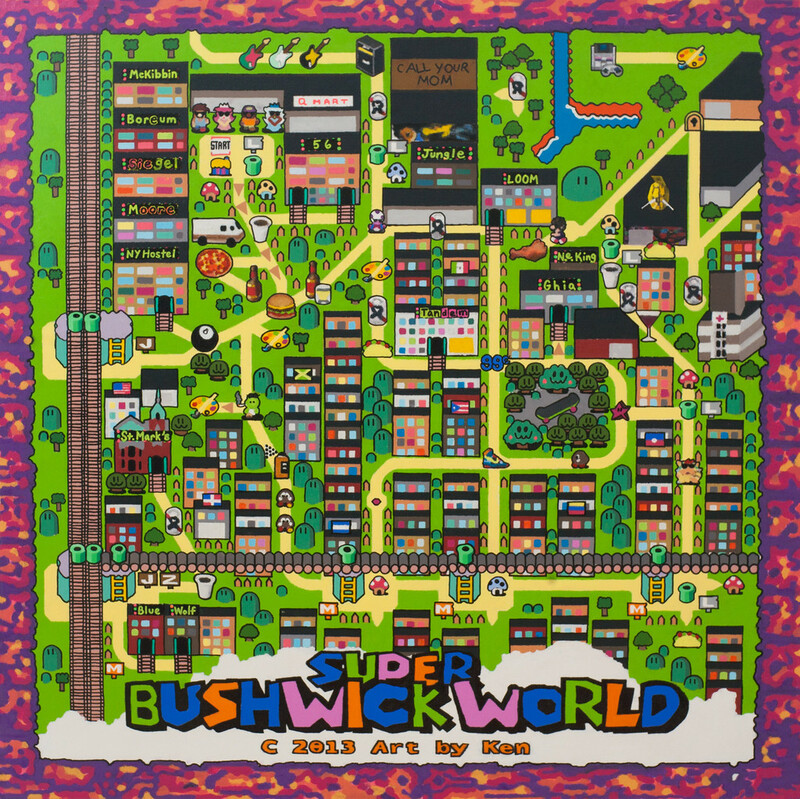 They are for sale too, along with other cities inspired by other video games, such as Zelda III.